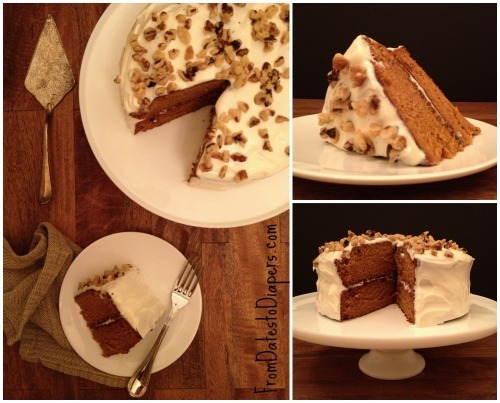 My Grandmother, Mom, aunts, and sister, all make a killer carrot cake, but I first tasted Pumpkin Cake at a pumpkin farm in California many years ago, and instantly fell in love. My sister and I found a recipe online a few years ago and modified it slightly to fit our tastes. The following is the recipe we now use, every Autumn, to create some of the BEST cake around! I’m sure there is a pumpkin farm around here, but getting fresh pumpkins at Walmart is just as good. 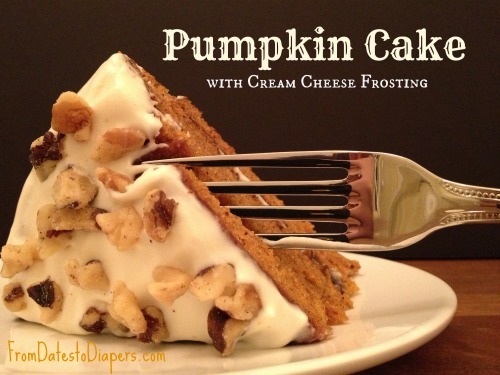 You can even use a can of Libby’s Pumpkin Puree. Beat pumpkin, sugar, oil and vanilla in a large mixing bowl. Combine dry ingredients, except nuts (if using) and gradually add to pumpkin mixture, beating until well blended. Pour into a greased 9 x 13 inch baking pan/dish. Bake for 35- 40 minutes or until center tests done. Gradually add sugar and mix until well combined and smooth. Add milk and beat until frosting is the spreading consistency you desire. Frost cake and sprinkle with chopped nuts if you like. Do you have a sweet tooth? What’s your favorite cake? Let me know if you try my recipe for Punkin’ Cake and how you like it!As a participant in the Walmart Moms Program, I’ve received compensation for my time and efforts in creating this post. All thoughts and opinions are my own.